InDesign CS4 is filled with features that can save time and trouble in the design process, but there is a more efficient way to achieve results using scripts. In InDesign CS4: 10 Free Must-Have Scripts, David Blatner calls upon his comprehensive experience as he demonstrates how scripts can automate repetitive, time-consuming tasks. David shows how to install and run his top ten free scripts. 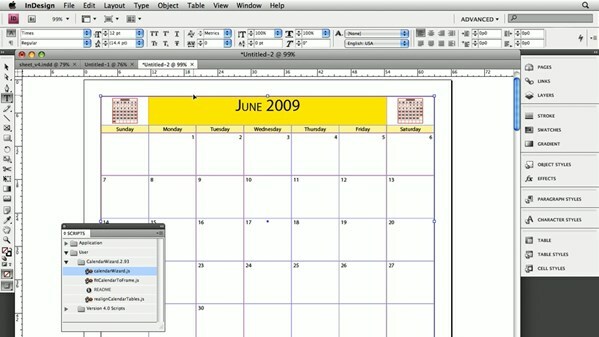 These scripts have a wide range of functionality, like building a year’s worth of calendars in seconds, performing a dozen find/change queries with one double-click, and converting an imported InDesign file back into editable objects. Exercise files accompany the course.